Zuke's is fuelling the love! Did you get a chance to listen to mom interviewing Chris from Zuke's? You should take a listen. They have great dog treats that are healthy! And super cool news...my doggie daycare sells them. Yup! Dogspaw in Edmonton. Totally can't wait until my next trip there! I'll be sniffing those out for sure. Zuke's started because of a dog! that's right, another dog named Zuke became the inspiration for a business (just like how I inspire mom to write books). 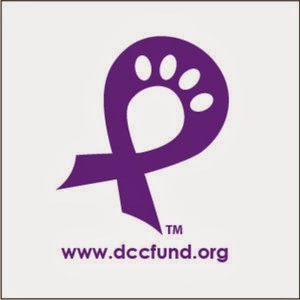 Not only did Zuke inspire the business and healthy treats, he also inspired a fund that helps dogs and cats with cancer. Zuke's is saving lives. A dog with a blog....that's me! I think Zuke's motto Fuel the Love is pawsome! 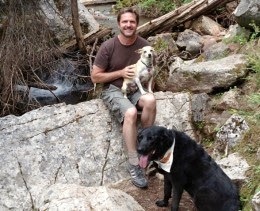 Chris Meiering, from Zukes, is mom's guest on PAWsitive Radio on February 25. Zuke's makes tasty and healthy treats for pets, can't wait for mom to buy some for me. Share your favorite story about how animals taught you a life lesson.We want to hear how your pets inspired you! Need help paying bills? Toby the dog has a solution. I love helping my pet parents. Mom taught me how to open the mail! Actually she taught me to open the mail. I added my own style of ripping it up once opened. Us pets have pretty simple solutions to everyday problems. why buy a shredder when your dog can help you out? 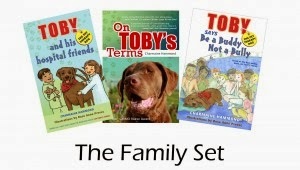 Check out my books at www.TheOriginalTeamToby.com There's something for everyone in the family!